Thinking of joining the social networking world of blogging? By Mike Saunders, 08 March 2012, 0 comments. Categories: Content Marketing. Relevance. It is what marketers are striving to achieve in their email marketing programmes today. But how that relevance is achieved is often answered by "it depends" which really gets us nowhere, fast. While it is true that targeting strategies for email are often driven by unique aspects of a brand's email programme, there are some hard and fast rules that will, at minimum, give you a place to start and something to think about. By Kara Trivunovic, 07 March 2012, 0 comments. Categories: Email marketing. By Maciej Fita, 06 March 2012, 0 comments. Categories: Advertising. 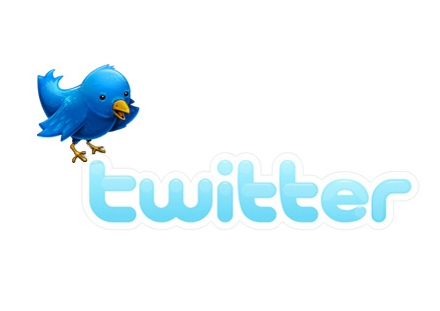 Twitter sells old tweets to marketers - should users be worried? There has been a lot of noise in the news about Twitter plans to expand their advertising model to mobile, but this is all very unsurprising. If anything, this distracts from a far more interesting and important development for brands using Twitter to engage with their audiences. By Sally Crimes, 05 March 2012, 0 comments. Categories: Advertising. A new YouGov survey into the attitudes of consumers to digital advertising has revealed some alarming trends around how the explosion of digital marketing has jaded many consumers, and hinted that a shift in approach may be required by digital marketers. By Matt Henkes, 05 March 2012, 1 comment. Categories: Advertising, Data-driven marketing. There are endless amounts of locations where news can go viral these days. Depending on what you are writing about and where it is landing will determine just how viral of a reach your news related item can receive. By Maciej Fita, 05 March 2012, 0 comments. It’s easy to rush into an ecommerce website as any retailer, understandably so, is eager to get their website online and start selling products. Whilst this is understandable, it is also foolish and it is important to make sure that your ecommerce website has all the necessary features which will help it to prosper and convert traffic to sales. By Leo Davie, 01 March 2012, 1 comment. Categories: E-Commerce. By Maciej Fita, 22 February 2012, 0 comments. Categories: Content Marketing. By Nick Stamoulis, 21 February 2012, 0 comments. Categories: Organic Search, Search Marketing. QR Codes: Useful or Pointless? By James Bentham, 21 February 2012, 0 comments. By Marco Veremis, 20 February 2012, 0 comments. Categories: Advertising. Some of my good friends are finally starting to ‘get’ Twitter, and as a result, I find myself tweeting and sharing more. Below are some of my top Twitter tips for noobs and veterans alike. By imod.co.za, 20 February 2012, 0 comments. Categories: Social Media Marketing. Why and how to use QR codes PLUS how to integrate them with your world wide web, particularly the Internet and Social Media, is the subject of this blog. By Joe Wozny, 15 February 2012, 0 comments. In the past year, digital marketing has been about the ever-increasing expansion of new technologies at our disposal. Digital marketers have certainly enticed customers using these new channels married with the innovative technology, for example, promotions over Facebook, mobile-optimised emails and personalised mobile offers. Whilst we need to maintain this emphasis on innovation, digital marketers need to bring the focus back to the consumer to increase ROI. By Marco Veremis, 13 February 2012, 0 comments. Categories: Campaigns. Is your coffee female or male? By CatchWordBranding, 13 February 2012, 0 comments. Categories: Advertising Technology, Campaigns, Commerce.